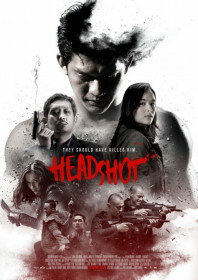 Savage Indonesian action from The Raid star Iko Uwais and his stunt team. If you found the stabby, close-up scrapping of The Raid hard to stomach, then this will certainly test your threshold for brutality. This is the type of film in which the ‘hero’ smashes someone’s head to bits with his bare hands, and a guy pulls a machete out of his own face. It’s grisly, but it’s also too over-the-top to ever be truly shocking. It also lacks the fluidity and imagination of The Raid‘s more calculated action scenes. Until the final act, that is, when Iko and Very Tri Yulisman, Julie Estelle and Sunny Pang throw down some serious shapes in a rather blistering display. The story is a complete sideshow; something about a mysterious Chinese crook who kidnaps children and trains them to be killers (it’s not properly explained why) only for Iko to survive a bullet wound to the head and reclaim enough of his memory to seek revenge. Chelsea Islan plays his young, doting nurse who gets herself kidnapped as further motivation for Iko to pummel a few more heads. It’s a very underdeveloped role, and Islan does her best to rescue it. The great soundtrack does wonders to help escalate the tension, and the greenish colour palette gives the film a swampy, seedy focus which makes it look more like a horror film. It’s solid stuff, but definitely not for the faint hearted.